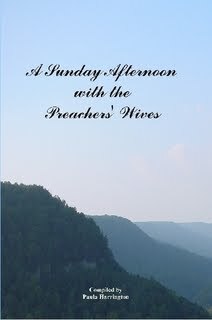 A Sunday Afternoon with the Preachers’ Wives has been out of print for the past eighteen months. However, it is now available on-line. Please click on this link for ordering information. Entry Filed under: Preacher's Wife,the church of Christ,wives of Ministers. Posted in Preacher's Wife ,the church of Christ ,wives of Ministers .